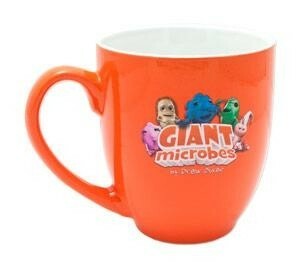 GIANTmicrobes Coffee Mug under a microscope! Who better to have breakfast with than GIANTmicrobes! They're sure to get your day off to a healthy start.